You are tired of summer and you want to feel the frost, see and touch the snow and also enjoy the New Year's atmosphere? Winter is Coming turns almost all summer biomes into winter so that all elements of nature will be covered with snow and will get cool colors. Do not stay long in hot biomes because mobs that live there still spoil the view. 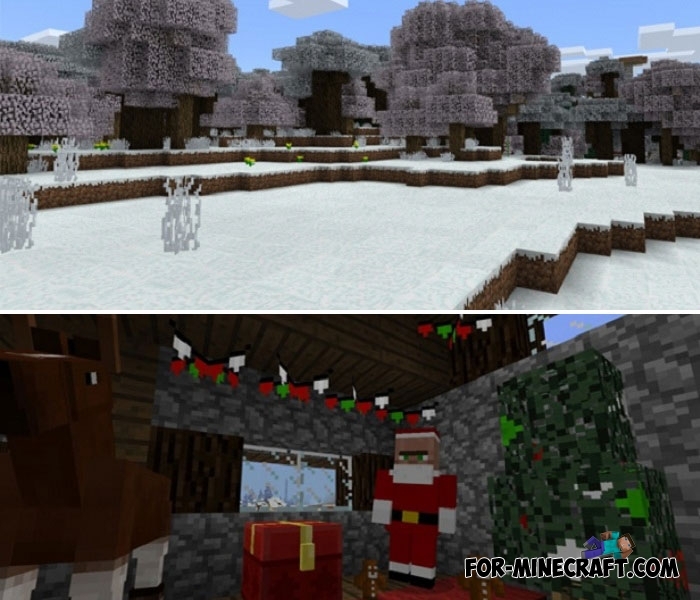 It's best to live somewhere in a cold place with snow and ice, especially Minecraft 1.4 has received a global update with many features related to winter biomes: new ice and icebergs where you can even live. How to install the Winter is Coming addon?